We are excited to announce that the University of San Diego is making the move to Google Apps for Education! The move to Google will enable USD faculty and staff to have access to an innovative suite of Google applications; specifically Email, Calendar, Drive, Docs, Sheets, Slides, and Hangouts. You will be able to access your email and calendar securely from any authorized computer or smartphone, anywhere, anytime. You will have access to integrated instant messaging and voice dialing functionality that already supports both audio and video. On July 5, 2016, all USD faculty and staff will be migrated from our existing Microsoft Exchange / Outlook system to Google Apps for Education. ITS has been researching the possibility of moving our email to a cloud based solution for over two years. Based on that research and our extensive testing, we determined that Google Apps for Education was the best choice for USD. Recently USD has been subjected to a sophisticated phishing campaign, resulting in a large number of compromised email accounts. Because those compromised email accounts are used for sending SPAM and other phishing emails, the sandiego.edu domain became blacklisted by many Internet Service Providers. This blacklisting results in USD email being blocked by many other organizations, seriously impacting USD’s ability to conduct business. By moving our email to Google, we will be able to prevent future blacklisting. In addition, providing email to a large organization such as USD is an increasingly expensive endeavor. Google Apps for Education is entirely free and offers unlimited storage, resulting in substantial cost savings for USD. Watch this video to find out what it means to “Go Google”! Google Mail (Gmail) – Keep your @sandiego.edu email address, but use Google’s email service, which comes with a spam filter and unlimited storage for free to be shared among all of your Google services. Google Drive – Create and share documents, spreadsheets, and powerpoint presentations online. You can also download them to your computer. Work together on projects without needing to email. All USD users received unlimited storage for free to be shared among all of your Google services. Google Calendar – Get people together easily using Google Calendar. It automatically manages invites and RSVPs for events. Share calendars with the whole university or with specific people. Google Hangouts – Chat with others on the web or on your desktop. Organize group chats to go over homework or make a voice or video call. 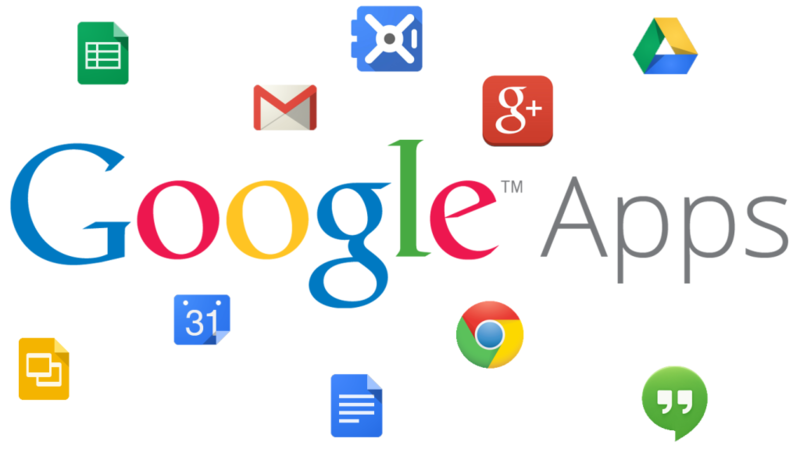 Mobile Services – Access your Google Apps from your mobile device.